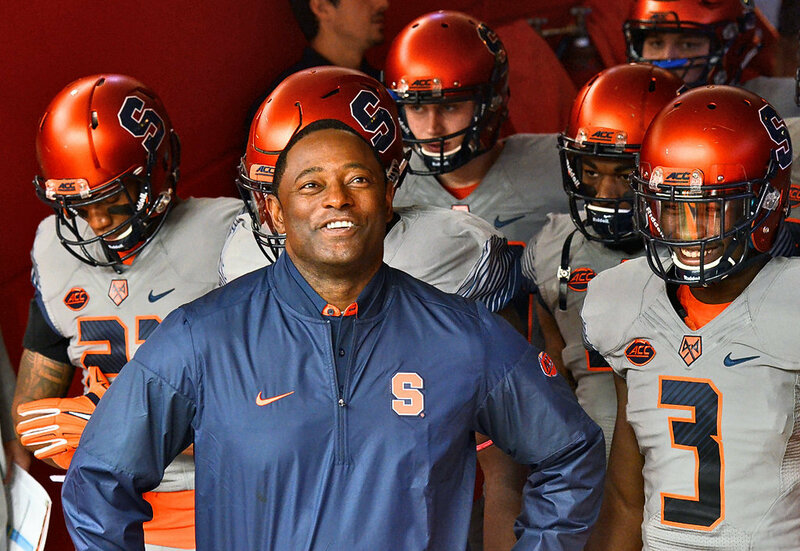 The Syracuse Orange have finished 4-8 for three straight seasons now — two of those under head coach Dino Babers. And while that sort of stretch can breed some frustration, Babers is still an overachiever compared to most of his peers around the college football coaching world. SB Nation’s Bill Connelly took a look at underachieving and overachieving coaches on Thursday, as determined by how much they typically exceed/fall short of win expectancy (as determined by Bill’s metrics). The list is limited to coaches that have had an FBS job for at least three years since 2005 — which means it includes Babers (two years at Bowling Green, two at SU), along with his immediate predecessors Scott Shafer (2013-15), Doug Marrone (2009-2012) and GERG (2005-08).